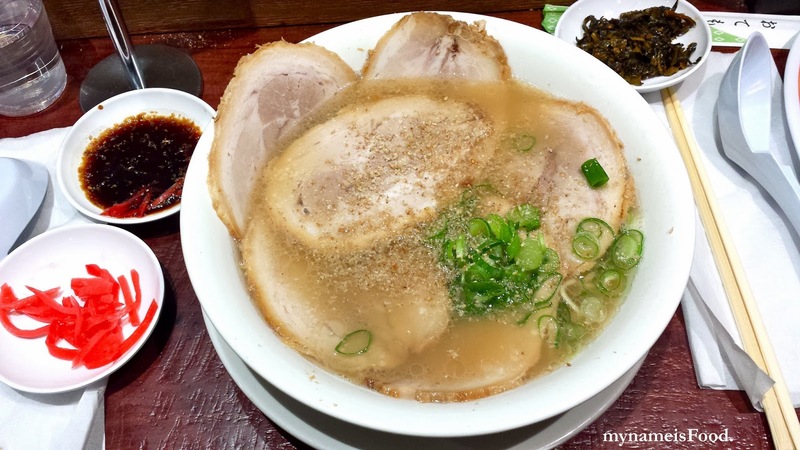 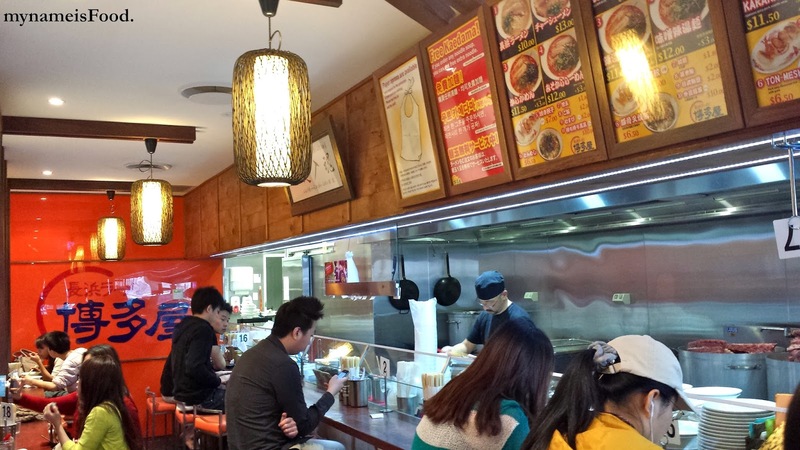 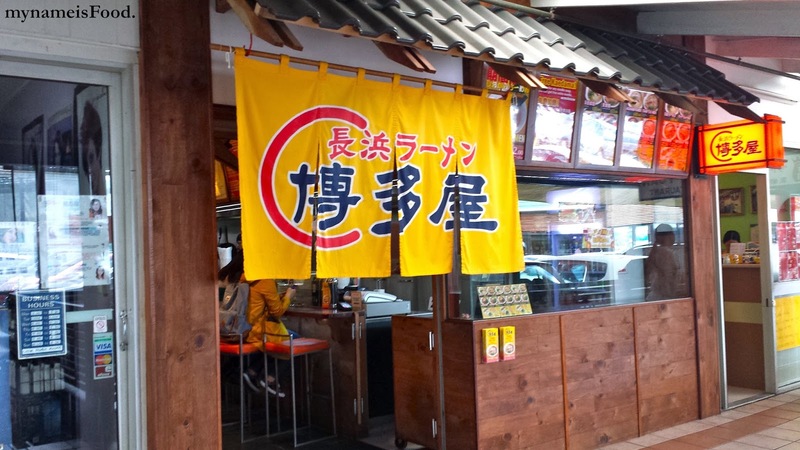 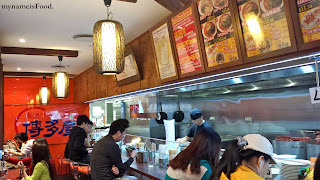 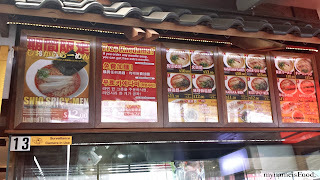 Hakataya Ramen, Market Square, Sunnybank, Brisbane - my name is Food. 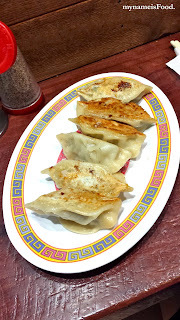 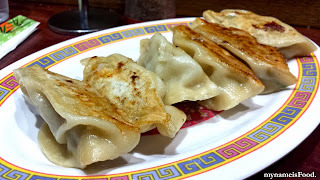 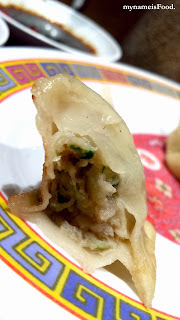 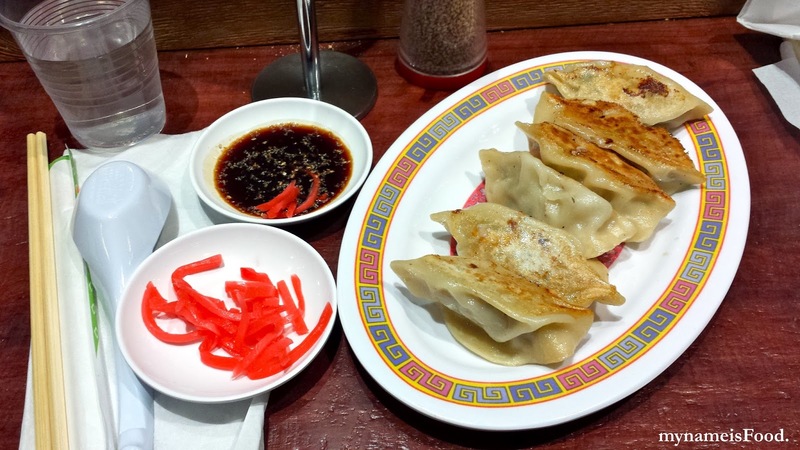 'Gyoza' ($7) are Japanese versions of dumplings.. A portion is 6 pieces and are pan-fried.. These came out rather quick so I'm not too sure if it's handmade or packaged.. Soy sauce and sesame grinders are available at every table and also red ginger..
Gyoza was hot when served and it was a nice entree or side dish to accompany with the ramen..
'Karashi Takana' comes with every ramen you order.. 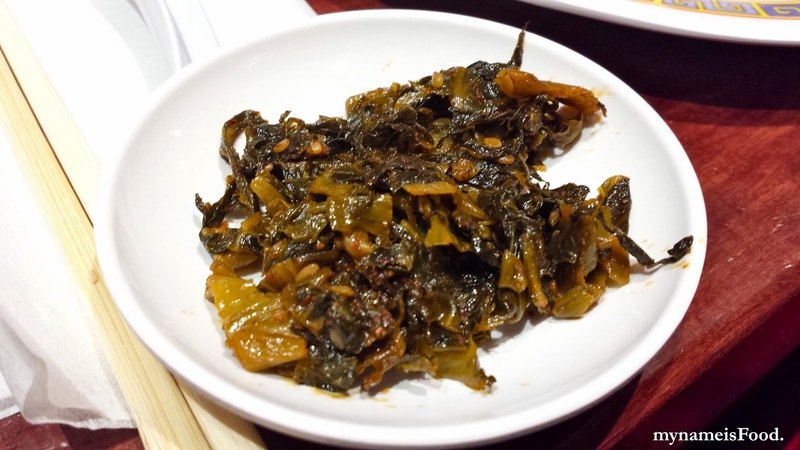 These are spicy pickled mustard greens... 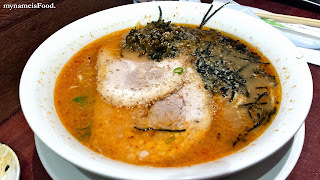 They do have a little bit of spicyness to it, but when you dip it in or eat it along with the ramen, it's not as much..
'Char-Siu Ramen' ($13) is a Japanese pork noodle soup with extra pork.. 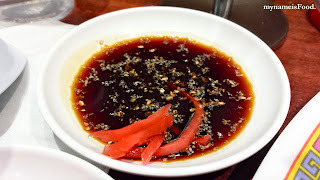 This was the #2 dish on their menu..It comes in a large bowl, simple presentation and you can see how soft the char siu is... 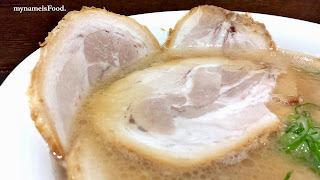 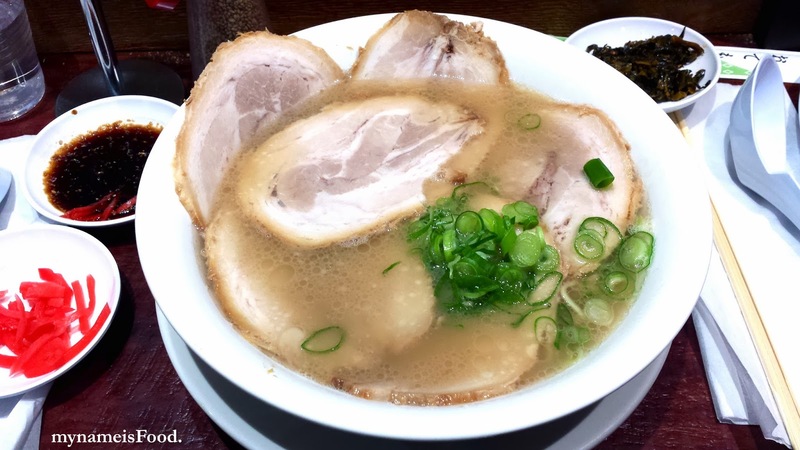 It derives from Tonkotsu ramen which uses specially selected Australian pork and is then simmered for 39 hours, carefully skimming the scum to draw out the extract flavour of the pork soup.. The Char-siu has been marinated with soy sauce and mirin (Japanese sweet cooking sake) which makes it melt in your mouth when eaten.. 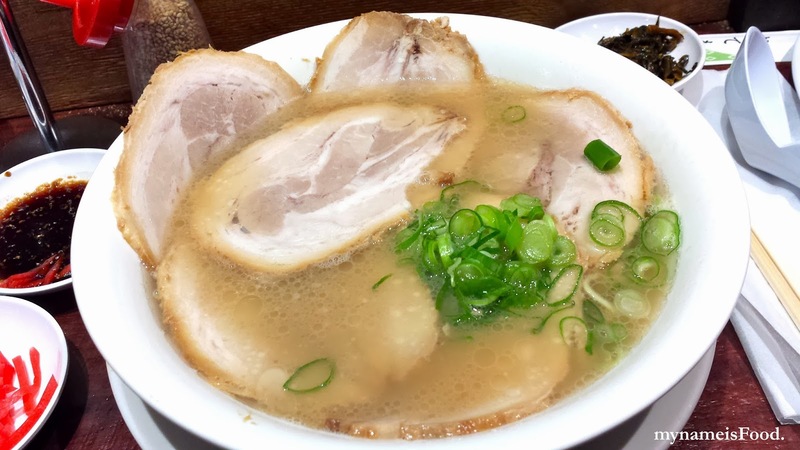 The only reason why I like this dish is probably because of the Char-Siu... And adding extra always makes the ramen better.. Oh, and did I mention that you can get yourself free extra noodles? Well.. you can... The char-siu pork when mixed and eaten with the ramen, the flavour and texture of the char-siu simply adds well and blends nicely with the noodles..
'Karaka ramen' ($11.50) which are basically spicy Tonkotsu ramen.. You can also add extra Char Siu pork for $3... 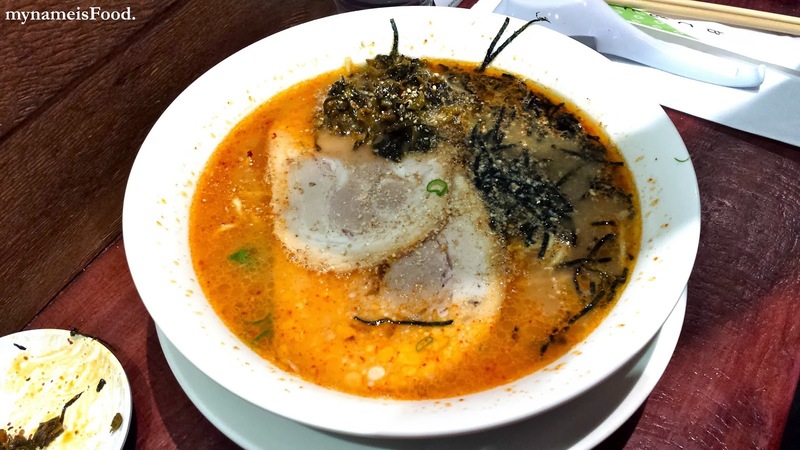 I didn't order this but they slurped and asked for extra noodles and finished the whole bowl, so yes, another thumbs up for the ramen..